There are plenty of home remodeling horror stories, but working with a contractor doesn't have to be a nightmare. Follow our tips to get the results you want! 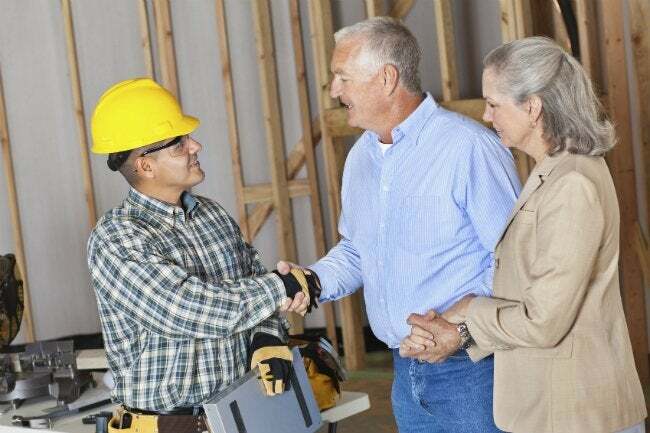 Already found a contractor for your next project? You might be happy with your hire, but planning ahead is the best way to make sure you’re happy with their work—and that includes discussing what you want and and getting everything down on paper. If you need to make an adjustment, write up a change order that details the modifications, plus any added cost for labor and materials. Minimize miscommunication and mistakes by meeting with your builder regularly to make sure the project stays on budget—and on schedule. Keep a dated log book as the renovation unfolds, including pictures and notes of who said or did what. It’s a good insurance policy if you run into a problem down the line, and you’ll have some great before and after shots to share with family and friends. Finally, take the time to make sure your builder didn’t cut any corners, and only pay for work that you’re satisfied with. Never pay for an unfinished job, since it kills any incentive for the contractor to return and fix the problem.